Why would I need self storage in Merritt Island, FL? There are a variety of reasons why you might need self-storage in Merritt Island, FL. How much is a storage unit in Merritt Island, FL? The cheapest storage unit in Merritt Island, FL is $34.00 per month. What size storage units do you have available in Merritt Island, FL? In Merritt Island, FL we have sizes that range from 5'x5' to 10'x20' to suit your storage needs. How much is it for a 5'x5' storage unit in Merritt Island, FL? The cheapest 5'x5' storage unit in Merritt Island, FL is $34.00 per month. Merritt Island is a midsize community on the eastern Florida coast, part of the Palm Bay metropolitan area. The name Merritt Island refers to both the town and its peninsula, which was formerly an island. The community is primarily residential and concentrated in the central region of the peninsula. Merritt Island gained significance in the 19th century when area orange trees survived a freeze that killed most of the state's citrus crop. By 1859, one of the town's largest landowners produced more than 60,000 oranges per year. This helped create a strong agricultural economy that attracted a number of workers to the area, which substantially increased the local population. 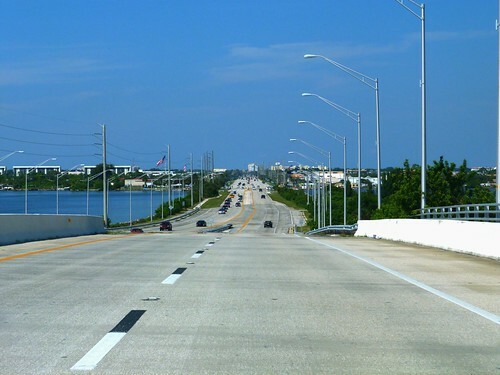 The Merritt Island area also benefited from the Haulover Canal, a federal government project that made it easier for boats to travel along the east coast. With wonderful year-round weather and proximity to attractions like theme parks and national parks, Merritt Island is a popular home base for young couples, families and retirees alike. The John F. Kennedy Space Center is one of Merritt Island's most noteworthy features, known as the launch site of NASA's first unmanned test flight. The space center is now surrounded by a wildlife refuge that provides a habitat for more than 1,500 species. If you're planning to look for a job in Merritt Island, you may want to plan to commute to one of the neighboring communities. Because Merritt Island is so heavily residential, there are only a few light commercial and industrial centers. However, depending on which industry you're planning to work in, you may be able to find a job close to home. There are a few light industrial fabrication centers in the area, including the Air Liquide plant, the Merritt Island Airport and NASA-related facilities. Students living in Merritt Island attend schools in Brevard County Schools. There are also a few private school options on the island, most of which are faith-based campuses. Utilities: Major utilities providers in the area include Brevard County Water and Sewer Utilities, Cocoa Water and Sewer and Florida Power & Light. Garbage and Recycling: Depending on where you live in Merritt Island, you may receive trash and recycling collection services. Transportation: Space Coast Area Transit services Merritt Island and many of its neighboring communities. Merritt Island has a relatively affordable cost of living that's on par with many other coastal communities in the area. You can find properties both for purchase and for rent, ranging from apartments to large, single-family homes. Many properties either are waterfront or offer views of the water, and swimming pools and lush landscaping are common features. Our lowest priced units in Merritt Island, FL average $37.00 per month. 102 people have reserved units in Merritt Island, FL in the past 30 days. There are 2 locations within Merritt Island, FL's city limits. There are 2 locations in Merritt Island, FL that offer AC and Heating features.